Scientists are trying to find out why some salamander species in the Blue Ridge Mountains are largely resistant to a fungus that's been killing off amphibians in other parts of the world. 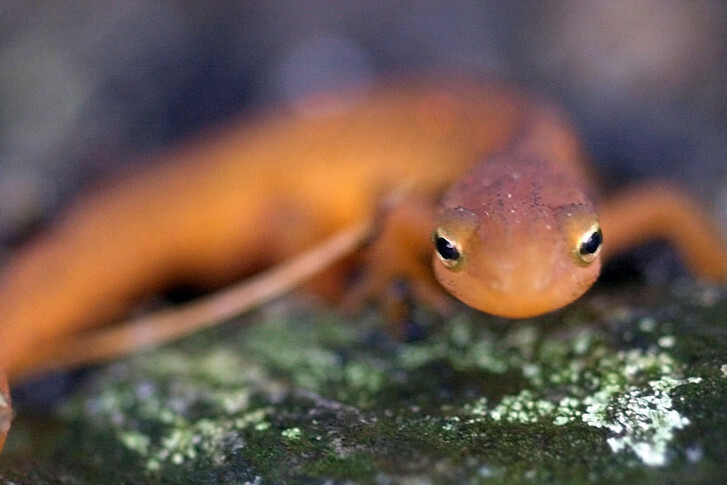 LYNCHBURG, Va. (AP) — Scientists are trying to find out why some salamander species in the Blue Ridge Mountains are largely resistant to a fungus that’s been killing off amphibians in other parts of the world. Liberty University said in a news release Monday that its researchers are studying 10 salamander species. They’re found along three Virginia mountain peaks near the school in Lynchburg. Those salamanders are largely resistant to the chytrid fungus. Other amphibians haven’t been so lucky. The skin-eating fungus has led to devastating die offs of frogs in Australia and salamanders in Europe. Liberty University professor Matthew Becker said these Virginia salamanders carry bacteria on their skin that kills off the fungus. Researchers are studying those fungus-resistant microbes while trying to learn why some species are more vulnerable to the fungus.